Midsummer movies: After a disappointing early summer, Hollywood enjoyed a lively July Fourth weekend and is hoping for some midsummer hits to re-energize the boxoffice. All films in the holiday marketplace, according to comScore, did about $190 million for three day weekend (Friday, Saturday, Sunday) and about $225 million for the four days ending Monday. The three-day weekend was up about 45 percent from last July Fourth -- a three day weekend (since the Fourth fell on Saturday) with $130.8 million in ticket sales. This got the month off on the right foot and there's a lot of high profile product in the July pipeline that could continue to keep the multiplexes busy. The top spot over July Fourth went for the third straight week to the PG rated 3D animated family comedy adventure "Finding Dory" from Walt Disney Pictures and Pixar Animation Studios with $50.2 million for four days. Its domestic cume through Monday is $380.5 million. Warner Bros., Village Roadshow Pictures and Jerry Weintraub Productions' PG-13 rated 3D action adventure "The Legend of Tarzan" opened second with $45.6 million for four days. Universal Pictures, Blumhouse Productions and Platinum Dunes' R rated action horror thriller "The Purge: Election Year" arrived in third place with $34.8 million for four days, a great showing for a picture that reportedly only cost $10 million to produce. The franchise's last episode, "The Purge: Anarchy," opened July 18, 2014 to $29.8 million and did $72 million domestically. Steven Spielberg's PG rated 3D family fantasy adventure "The BFG" from Disney and Amblin Entertainment in association with Walden Media, opened fourth with $22.3 million for four days. "BFG's" based on the best-selling book by "Charlie and the Chocolate Factory" author Roald Dahl. "Charlie," which was directed by Tim Burton, opened July 15, 2005 to $56.2 million and did $206.5 million domestically. 20th Century Fox's PG-13 rated 3D sci-fi action adventure "Independence Day: Resurgence" rounded out the top five in its second weekend with $20.2 million and a cume of $76.4 million. Looking ahead, here's what's opening wide over July's next four weekends. JULY 8-10: Universal Pictures and Illumination Entertainment's PG rated 3D animated family comedy "The Secret Life of Pets" is directed by Chris Renaud ("Despicable Me," "Despicable Me 2") and co-directed by first-time feature director Yarrow Cheney. It marks the animated feature-film debuts of Louis C.K., Eric Stonestreet and Kevin Hart. It's all about the lives our pets lead after we head to work or school each day. 20th Century Fox and Chernin Entertainment's R rated comedy "Mike and Dave Need Wedding Dates" is from first time feature director Jake Szymanski. It should play best to young adults. In "Dates," two hard-partying brothers (Adam Devine and Zac Efron) advertise online to find the perfect dates (Anna Kendrick and Aubrey Plaza) for their sister's Hawaiian wedding. Hoping for a wild getaway, the guys instead find themselves outsmarted and out-partied by their uncontrollable dates. JULY 15-17: Columbia and Village Roadshow Pictures' 3D supernatural comedy "Ghostbusters" is from "Bridesmaids" director Paul Feig. Starring in this new female-driven take on the classic franchise are: Melissa McCarthy, Kristen Wiig, Kate McKinnon, Leslie Jones and Chris Hemsworth. It should play best to adult women. 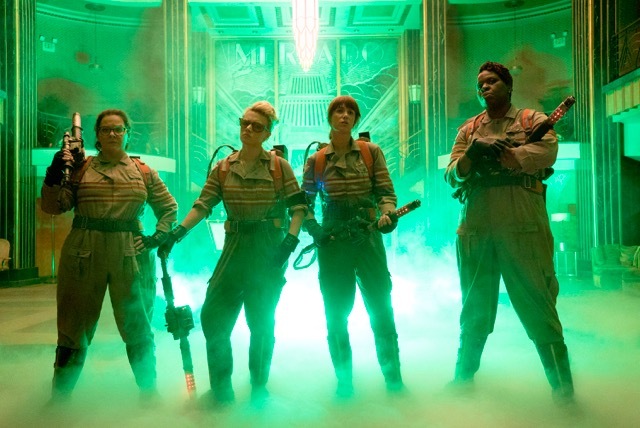 The "Ghostbusters" reboot arrives 30 years after the original took the boxoffice by storm. It opened June 8, 1984 to $13.6 million and did $242.2 million domestically, which was very big money at the time. Broad Green Pictures' R rated biographical crime drama "The Infiltrator" is directed by Brad Furman ("The Lincoln Lawyer") and stars Bryan Cranston, John Leguizamo and Diane Kruger. It should play best to adult men. In "Infiltrator," a money laundering scheme tied to Colombian drug lord Pablo Escobar is exposed by a U.S. Customs official. 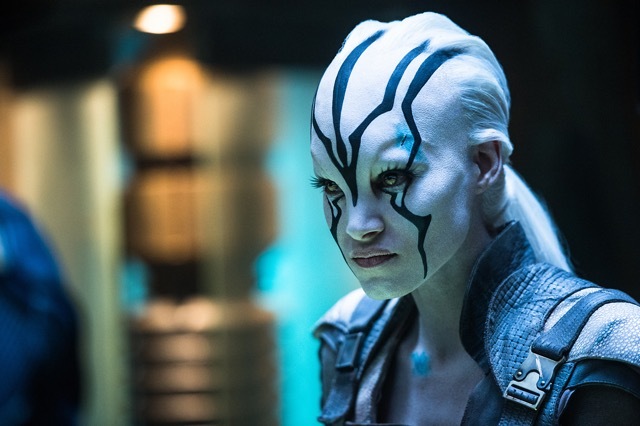 JULY 22-24: Paramount, Skydance and Bad Robot's 3D sci-fi action adventure "Star Trek: Beyond" is from producer J.J. Abrams, producer-director of "Star Wars: The Force Awakens" and is directed by "Fast & Furious" director Justin Lin. Starring are: Idris Elba, Chris Pine, Zoe Saldana and the late Anton Yelchin. It should play best to male moviegoers. The franchise's last episode, "Star Trek Into Darkness," opened May 16, 2013 to $70.2 million and did $228.8 million domestically. On the first leg of a five year mission, the Enterprise is almost destroyed in uncharted territory. Kirk (Pine) and his crew are stranded on a remote planet with no way to communicate, forcing them to work with the elements to somehow return to Earth. 20th Century Fox and Blue Sky Studios' PG rated 3D family animated comedy adventure "Ice Age: Collision Course" is directed by Mike Thurmeier, co-director of "Ice Age: Dawn of the Dinosaurs," and is co-directed by first time feature director Galen T. Chu. It stars such returning voices as: Ray Romano, Denis Leary, John Leguizamo, Queen Latifah and Jennifer Lopez. The franchise's last episode, "Ice Age: Continental Drift," opened July 13, 2012 to $46.6 million and did $161.3 million domestically. 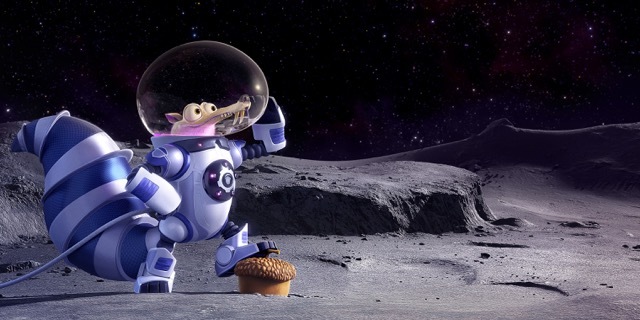 Scrat's epic pursuit of the elusive acorn accidentally sets off a series of cosmic events that transform and threaten the Ice Age World. To save themselves, Sid, Manny, Diego, and the rest of the herd must leave home, encountering colorful new characters as they travel to exotic new lands. Warner Bros. and New Line Cinema's PG-13 rated horror thriller "Lights Out" is from first time feature director David F. Sandberg and stars Teresa Palmer, Gabriel Bateman and Alexander DiPersia. It should play best to young females, the core audience for most horror films. Palmer plays Rebecca, whose childhood fears of the dark are now terrifying her young brother (Bateman), threatening his sanity. Meanwhile, Sophie (Maria Bello), a scary presence that's somehow linked to their mother, has returned. As Rebecca gets closer to learning the truth, their lives are in danger when the lights go out. Wed., July 27 will bring Lionsgate's PG-13 rated crime thriller "Nerve," directed by Henry Joost and Ariel Schulman, the directors of "Paranormal Activity" episodes 3 and 4. Starring are: Samira Wiley, Kimiko Glenn and Juliette Lewis. It should play best to under-25 women. In "Nerve," a high school senior becomes immersed in an online game of truth or dare in which she realizes her moves are being manipulated by unknown "watchers." JULY 29-31: Universal Pictures' PG-13 rated action thriller "Jason Bourne" again stars Matt Damon and is directed by Paul Greengrass ("The Bourne Ultimatum," "The Bourne Supremacy"). It should play best to male action movie fans. The franchise's last episode, "The Bourne Legacy," opened Aug. 10, 2012 to $38.1 million and did $113.2 million domestically. In this new franchise chapter, Bourne, the CIA's most lethal former operative, is drawn out of the shadows. Also starring are: Alicia Vikander, Vincent Cassel and Tommy Lee Jones with Julia Stiles returning as Nicky. STX Entertainment's R rated comedy "Bad Moms" is written and directed by Jon Lucas and Scott Moore, co-directors of "21 & Over" and co-writers of the "Hangover" trilogy. Starring are: Mila Kunis, Kristen Bell and Kathryn Hahn. It should play best to young adult women. Three overworked and taken-for-granted moms unexpectedly turn to fun times in what sounds like a female-style "Hangover" world when they're pushed to the brink by their demanding children, unappreciative husbands and some impossibly alpha moms at their kids' school. Amazon Studios and Lionsgate's PG-13 rated romantic comedy drama "Cafe Society" is written and directed by Woody Allen ("Midnight in Paris"). Starring are: Jeannie Berlin, Steve Carell, Jesse Eisenberg, Blake Lively, Parker Posey, Kristen Stewart, Corey Stoll and Ken Stott. "Cafe" goes wide July 29 after opening in limited release July 15 and expanding July 22. It should play best to Allen's traditional adult following, but also could attract young adults thanks to its young stars. "Midnight" opened May 20, 2011 in limited release at six theatres to $599,003 and went on to gross $56.8 million domestically, making it Allen's top grossing film as a director. Eisenberg plays Bobby, who moves from the Bronx to Hollywood in the 1930s and falls in love with his powerful uncle's (Carell) talent agency secretary (Stewart). When he returns to New York, Bobby's quickly caught up in the sparkling world of high society nightclubbing. Bottom line: For the year to date, according to comScore, ticket sales are down about 2.5 percent -- $5.59 billion vs. $5.73 billion last year. But if the movie gods keep smiling in July, Hollywood could see a midsummer boxoffice upturn.